Do you have a few hours to give to your neighborhood? Biltmore Park has an active social calendar, which is organized entirely by resident volunteers. We are always in need of enthusiastic organizers to help our neighborhood stay vibrant and active. Do you have a special event you would like to host? We also need organizers for individual events. Individual events typically occur just once per year, and require several hours of work on the day of the event. 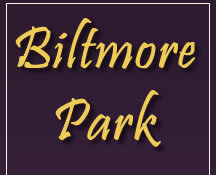 Please help Biltmore Park stay vibrant! Call or email any board member to volunteer.